Appearance: Consistent and plain cream background with sawn edges and honed finish, ideal to brighten modern and minimalistic outdoor spaces. It contains blemishes, veining, small chipping (to the corners and sides) and small holes: these are characteristics of the stone. Properties: Quarried in India, this natural stone is a durable and hard wearing. It is frost resistant and has excellent physiochemical properties. Like most sandstone, it is porous and requires sealing to extend its longevity. 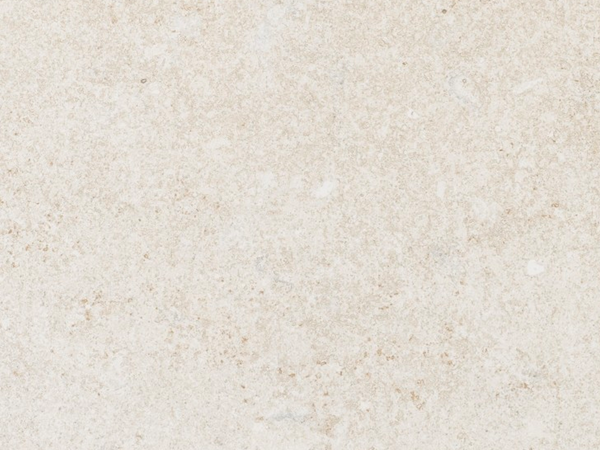 Use: Imperial Beige sandstone is a versatile stone. Thanks to its excellent properties, including wear resistance and frost resistance, it is suitable for most external applications for both domestic and commercial projects, including paving for patios, terraces, paths, steps, coping stones, pool surrounds and feature walls. Formats: Tiles (900×600, 600×600 and 600x400mm, all 25mm thick), 600x600x50mm tiles, planks (900x200x25 and 600x200x25mm) and cut-to-size.